True Machine is your community's reliable, professional, fully insured Gravel Driveway Specialists. We are a full service gravel driveway company that offers everything from new gravel driveway installation to gravel driveway repairs including scraping, grading, and hole repair. We have served the Raleigh area since 2013 with many satisfied customers. Check out our 5 STAR reviews on Google. Customer satisfaction is our number one goal. Many types of stone available to achieve your desired look. We also offer yearly driveway maintenance plans to support your gravel driveways "youthful" appearance. This service helps to prevent driveway damage for a fraction of the cost of repair. Carolina Grading & Gravel provide bobcat and mini excavator service for all your grading projects. We take pride in our work and customer satisfaction is what makes Carolina Grading & Gravel stand above the rest. We are prompt, reliable and fair priced. In business since 1980. 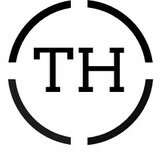 With over 10 years of experience in residential and minor commercial projects, we here at Truly Home are dedicated to our clients satisfaction. Serving the Raleigh and surrounding areas, we offer concrete services including removal/replacement of your old driveway or sidewalk ,driveway extensions, decorative/stamped concrete, staircases, vertical walls, footings, curb and gutter and grading. 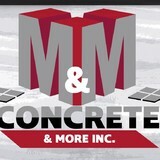 M&M concrete and more is a family owned business with over 10 years of experience. Martin Aguilar owner and onsite worker will guarantee the satisfaction you need with your concrete needs. Where your satisfaction is our number one priority! 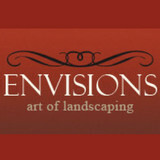 Envisions is at the forefront of paving stone installation. We enjoy what we do, and are constantly striving for excellence and warranty our work from the ground up. We believe that as people become aware of the superiority of a segmental pavement and that as we continue to require our customer's overwhelming approval of our installations, Envisions will continue to be a dynamic leader in an expanding industry. International Concrete, LLC is North Carolina's premier concrete finishing company. With over 13 years of experience, International Concrete, LLC has the skill to enhance the beauty and value of your home. At OnSite Resources, we are committed to delivering exceptional residential and commercial site-preparation services to Raleigh, NC and all surrounding areas. Our company is the turnkey integrated solution for multiple site-preparation projects – from site evaluation, to hardscaping services, to building preparation and everything in between. In addition to providing high-quality residential and commercial building production services, our team has the ability to handle purchasing, estimating and quoting for every project. If your construction project in Raleigh, Durham or anywhere else in the Triangle is in need of a full service of site-preparation company, we’d be happy to work with you to ensure all your construction project needs are addressed. Ace Asphalt Solutions, Inc. is the premier business for asphalt patching, sealcoating services, parking lot repair and maintenance services, and much more in Fayetteville, NC and the surrounding areas. Our reliable and experienced team is licensed and insured to use the latest state-of-the-art technology and techniques and ensure that our services are nothing but the best. When you need parking lot repair, pavement marking and more, there’s only one name to remember: Ace Asphalt Solutions, Inc. We’ll fix your repairs using our quality materials so you see lasting results. We make it easy! The advances in the vinyl wrap technology has come a long way in the past 10 years. With the evolution of high quality films, and cutting edge installation techniques, wrapping your vehicle has become the preferred way to transform your car, without changing the factory paint job. Advantages of car vinyl wraps over paint include: full paint protection, maintaining vehicle value maintaining stock paint, flexibility to change colors multiple times before you would spend as much as one paint job, and the freedom to unlock complete creativity with a vehicle wrap design. They are also easy to remove, and the wraps that we use do not leave behind any adhesive on the paint. North Carolina Paving Pro’s is your go to paving contractor in Fayetteville, NC. We offer residential paving and commercial parking lot paving services including repairs, new construction, and replacements. With over 20 years experience, Stonebridge yards is dedicated to masonry construction. Simplicity of design, efficient services, and stunning results, make us a great choice. Raise your expectations. Together with his staff, owner John Bungert strives to create some of the Triangle’s finest hardscapes. Our commitment to our customers starts with an on time estimate and never ends. We take pride in meeting our clients’ needs. We understand your budget, can match your vision, and create exceptional outdoor spaces. In our capable hands your dollar goes further; the years of experience have taught us the value lays in the quality of a project not its size. Masonry construction not only adds value to the property, but done well adds living space to the home. Like the materials themselves, contacting Stonebridge yards is a “solid” decision. ABC PAVING is the triangles favorite asphalt, brick, and concrete professional. With three generations of experience and all the latest modern methods and machinery. ABC gets it done rite the first time. We offer high quality service and work at a fair price . From installation to repair, Garner, NC driveway contractors are responsible for a variety of planning, installation, construction and driveway maintenance services. Driveway installation. Before work begins on a new or replacement driveway, your professional should create plans based on your needs and material choices, as well as your property grade, soil and other North Carolina landscape factors. When it comes to the actual driveway construction, driveway contractors are responsible for preparing the site, obtaining the necessary materials, making sure a strong foundation is laid, operating equipment and heavy machinery, and cleaning up the site afterwards. Driveway materials. While most driveway contractors in Garner, NC primarily work with asphalt, they are also experts on the wide range of available driveway materials. If you are looking for something different than a standard asphalt driveway, your pro can help you select driveway pavers or customize a brick driveway design. 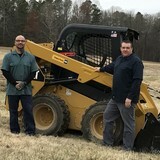 A driveway installation and maintenance professional may work closely with a Garner, NC builder, landscape professional or various manufacturers and suppliers. Find a Garner, NC driveway installation and maintenance professional on Houzz. Narrow your search in the Professionals section of the website to Garner, NC driveway installation and maintenance. You may also look through Garner, NC photos to find examples of driveways that you like, then contact the professional or contractor who worked on them.